Auburn Hills, Mich., Feb 22, 2010 - Following a first-year sell out of 100 factory-built program vehicles in 2009, Mopar announced its 2010 Dodge Challenger Drag Pak program. For 2010, the non-street legal V-8 powered, rear-wheel drive Dodge Challenger is available with the 6.1 liter HEMI that may be set up with a 5-speed automatic or 6-speed manual transmission. "We're proud of our drag racing heritage at Mopar and we will continue to support our drag-race customers where they compete," said Pietro Gorlier, President and Chief Executive Officer - Mopar Service, Parts and Customer Care, Chrysler Group LLC. 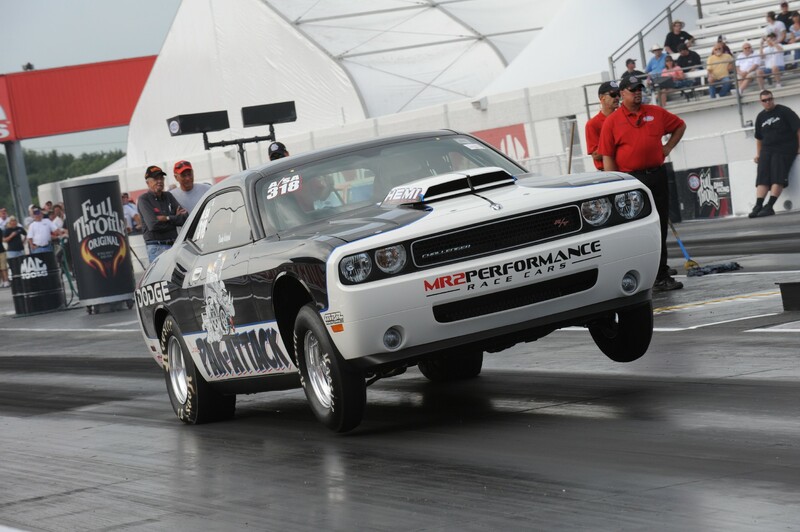 "The Dodge Challenger Drag Pak program was a success last year, and we'll be carrying that momentum into our 2010 build." Based on the 2010 Dodge Challenger SRT8 and finished in a Stock Eliminator configuration, Mopar engineers eliminated select production components and systems to reduce vehicle weight by approximately 1,000 pounds. To accentuate weight savings, the Dodge Challenger Drag Pak features unique drag-race components including: composite lift-off hood with functional scoop, Dodge Viper-style front seats, polycarbonate door windows, a light-weight cooling module with electric fan, manual rack-and-pinion steering, a special cable-operated deck-lid release, special light-weight front-brake assemblies and special cable-operated throttle linkage and pedal assembly. 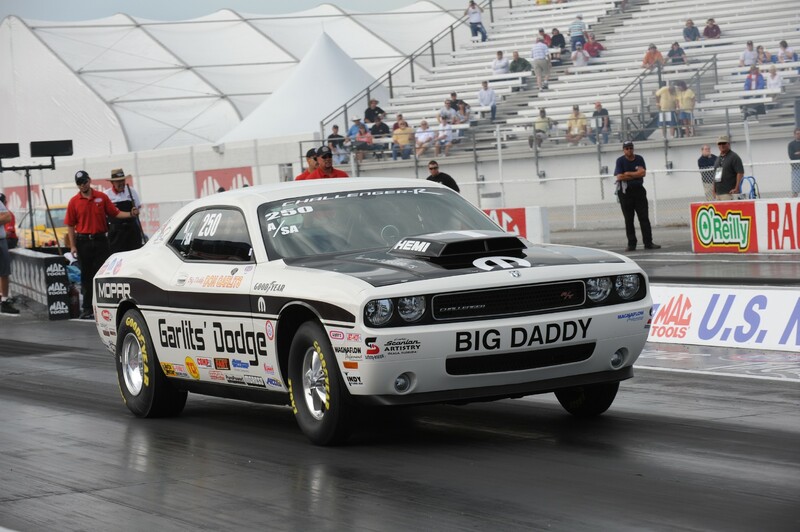 The Dodge Challenger Drag Pak features a retro Stone White paint scheme and is sanctioned for NHRA Stock, Super Stock and Comp Eliminator drag racing. The Manufacturer's Suggested Retail Price is $39,999 and production begins this summer. The 2009 Dodge Challenger Drag Pak program commemorated the 40th anniversary of the legendary 1968 Dodge Hemi Dart and Plymouth Hemi Barracuda package cars. The '68 Package Cars were sold as actual running cars with VIN identification. The 2009 and 2010 Package Cars are not running cars and do not come with VIN identification. Orders for the 2010 Challenger Drag Pak must be submitted using the Dodge Challenger Drag Pak Application which is available now at www.mopar.com or from the Mopar Direct Connection Tech Line at 888-528-HEMI (4363). Customers should work with their local Dodge dealer to submit their application. Mopar distributes approximately 280,000 parts and accessories in more than 90 countries and is the source for all original equipment parts for Chrysler, Jeep, Dodge and Ram vehicles. Mopar parts are unique in that they are engineered with the same teams that create factory-authorized vehicle specifications for Chrysler, Jeep, Dodge and Ram vehicles -- a direct connection that no other aftermarket parts company can provide. Mopar (a simple contraction of the words Motor and PARts) was trademarked for a line of antifreeze products in 1937. It also was widely used as a moniker for the CMPC. The Mopar brand made its mark in the 1960's -- the muscle-car era. The former Chrysler Corporation built race-ready Dodge and Plymouth "package cars" equipped with special high-performance parts. Mopar carried a line of "special parts" for super stock drag racers and developed its racing parts division, called Mopar Performance Parts, in order to enhance speed and handling for both road and racing use.